Josef von Sternberg, born Jonas Sternberg (29 May 1894 – 22 December 1969) was an Austrian-American film director. His family emigrated permanently to the United States when he was fourteen, and he grew up in New York City. He started working at World Film Company in Fort Lee, New Jersey, where he was mentored by French director Emile Chautard. Sternberg started in Hollywood after making his first film as a director in 1925. Charlie Chaplin became interested in him, and had him direct a film. Sternberg worked on late silent films in the late 1920s, by which time he had adopted the use of "von" in his name, a pretension to aristocratic origins to which he had no claim. After working with the award-winning German star Emil Jannings, he was invited from Hollywood to Berlin in 1930 to make Germany's first feature-length full-talkie, Der blaue Engel (The Blue Angel), a coproduction between Paramount in the US and UFA in Germany, with Jannings and an unknown revue-artist, Marlene Dietrich. His encouragement of the latter's performances helped to create the Dietrich legend in the six additional films they made together in Hollywood. 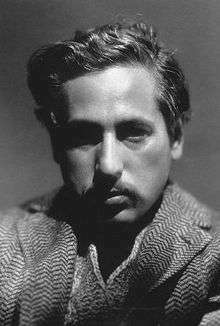 Josef von Sternberg was born Jonas Sternberg in 1894 to a Jewish family in Vienna. When he was two years old, his father Moses (Morris) Sternberg, a former soldier in the army of Austria-Hungary, moved to the United States in search of work. The rest of the family emigrated and rejoined his father when Jonas was seven. Three years later, the entire family returned to Vienna. After Sternberg had turned fourteen, the family emigrated again to the United States (US), settling in New York City. His father found work there as a lace worker, but they struggled to survive. Sternberg learned English in public schools in New York, which were filled with immigrants. Sternberg dropped out of Jamaica High School and worked as an errand boy in a lace warehouse. He later obtained a job cleaning and repairing movie prints. By about 1915 he was working for William A. Brady at the World Film Company at Fort Lee, New Jersey. There he was mentored by Emile Chautard and other French-speaking directors and cinematographers at World. Chautard hired Sternberg as an assistant director in 1919 for a version of The Mystery of the Yellow Room. Sternberg made his directorial debut in 1925 with The Salvation Hunters, considered by some historians to be the first American independent film. Actor/co-producer Elliott Dexter added the nobiliary particle 'von' to Sternberg's name in 1925 during the production of By Divine Right, supposedly to "even up" the credits as they appeared on screen. Sternberg did not protest, as he liked the suggestion of comparison with director Erich von Stroheim, whom he greatly admired. 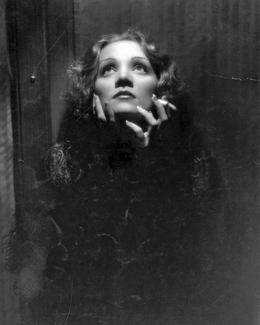 Sternberg cast the then little-known Marlene Dietrich as Lola Lola, the female lead; as a result, she became an international star overnight. He then invited her to the US, welcoming her with gifts including a green Rolls-Royce Phantom II. The car later appeared in their first US film Morocco. Sternberg and Dietrich later continued to collaborate in the United States on six notable films: Morocco (1930), Dishonored (1931), Shanghai Express (1932), Blonde Venus (1932), The Scarlet Empress (1934), and The Devil is a Woman (1935). The Scarlet Empress is particularly celebrated for its atmospheric and suggestively demonic production design. Sternberg contributed to the glamorous image of stars such as Dietrich, Carole Lombard, Rita Hayworth and Dolores del Rio, helping to create and define this concept in Hollywood. ↑ "Marlene Dietrich in Shanghai Express by Don English (Paramount, 1932)". Auction Results Archives. Heritage Capital Corporation. Retrieved 5 January 2013. With direction and lighting by genius Josef von Sternberg, photographer Don English took what would become the most iconic image of Marlene Dietrich. ↑ Wolf, Jaime. "What A Design Guru Really Does", The New York Times, December 1, 2002. Accessed October 23, 2015. "Or the house in Weehawken that Walrod wants to save, which wasn't only designed by a close associate of Walter Gropius's but was also originally commissioned by Josef von Sternberg, later sold to an eccentric baroness who was famous for supporting jazz musicians like Charlie Parker and Thelonious Monk and was ultimately, it turns out, the place where Monk died." ↑ Staff. "A NATIVE RETURNS; Josef Von Sternberg of Fond Memory Resumes Directing in Hollywood Winner Revelation", The New York Times, September 10, 1950. Accessed October 23, 2015. ""or when Von Sternberg, after a long absence from Hollywood, was beckoned back here by Howard Hughes last fall from his home in Weehawken, N. J., he had no assurnace that he would even be handed the controls on 'Jet Pilot."